Want to regain control of your home’s heating? Count on your Annapolis radiator repair experts at Heidler, Inc. We provide top-notch repair and replacement services at upfront rates. Give us a call today at (410) 268-7191 for immediate service. Click here to view our current specials and discounts. 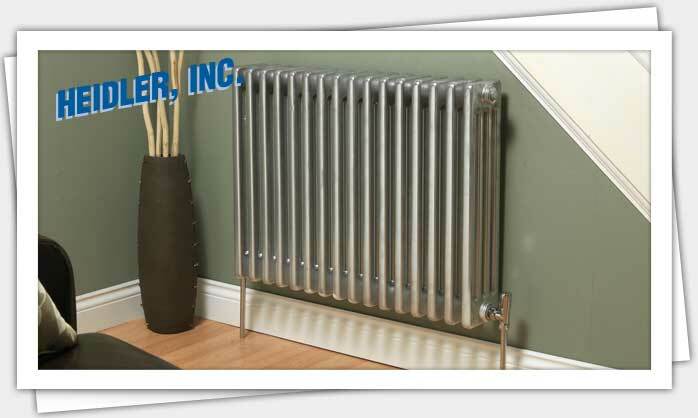 Radiators are a crucial part of your heating system. Has yours started to fail? Perhaps you need to replace your current system. Let your Annapolis radiator service experts help. With proper maintenance and care, you radiators will continue to function efficiently for years to come. We make sure our customers receive the best service possible. Your Heidler technicians will provide friendly advice on the best ways to maintain your radiators. Click here to read our latest customer reviews. Below are problems to look out for in your radiators. If you notice any of these issues or other problems, contact us for immediate service. Trapped air: You can tell if your system has trapped air if the lower half of the radiator is hot while the top half feels cool. To solve the issue, we will bleed the regulator, then inspect it to see if there are any other underlying problems. Sludge buildup: If your system has cold patches at the top, there could be sludge building up. There could also be rust or sludge blocking the proper flow of water. Our experts will flush out the system to clear it out. Loud noises: If your home uses a boiler to supply heat to your radiators, you may hear unusual sounds. This is often due to the boiler overheating. This happens if the temperature is set too high, or if there is limescale buildup in the boiler. If you are looking to repair your old radiators, or you need to install newer radiators for improved function and efficiency, give us a call. We will help you determine the best course of action. Not sure why your radiators are failing to give off heat? Do you notice leaking problems? Heidler, Inc will get to the source of the problem. Call (410) 268-7191 for flat rates and cost-effective solutions.